Follow: Philippines Mission Trip 2019. We are excited to share about an opportunity we have coming up at the beginning of 2019. We have committed to go on a mission trip to the Philippines, and we would love for you to prayerfully consider partnering with us! Our team of 7 individuals from Relevant Church in Corry, PA, will be traveling to Calasiao, Philippines, from January 8th – 20th, 2019. Evangelism: We will work alongside a growing church that has 3 locations. Pastor Jun and his wife, Ting, have a true passion for evangelism, and regularly travel to these various sites to share the love of Christ, hold Bible studies and church services. We will be serving with them in all of these ministries while we are there and will also be holding evening gatherings to share the Gospel and encourage the local body of believers in the area. Mercy Ministry: Youth With A Mission (YWAM) Dagupan is a missions center in the region that has been established for over 18 years. Our team will partner with them to be a part of their various ministries which include providing basic necessities, meals and family programs in the region. School Support: Our local church has committed to supporting the education of a young girl named Angelina, who lives in Calasiao. We will have the opportunity to share the love of Christ with her and her family, as well as the other children who attend her school. In order to fund this trip, our team will be participating in various fundraising activities in our local area, both as a group and on an individual basis. Our goal as a team is to raise $6000 to cover our expenses. We are fully aware of the importance of including as many people as possible in the vision and completion of this trip, both through prayer and financial support, and would like to ask you to consider what role you might play as we prepare for this time of ministry and become a small part of what God is doing in the Philippines. 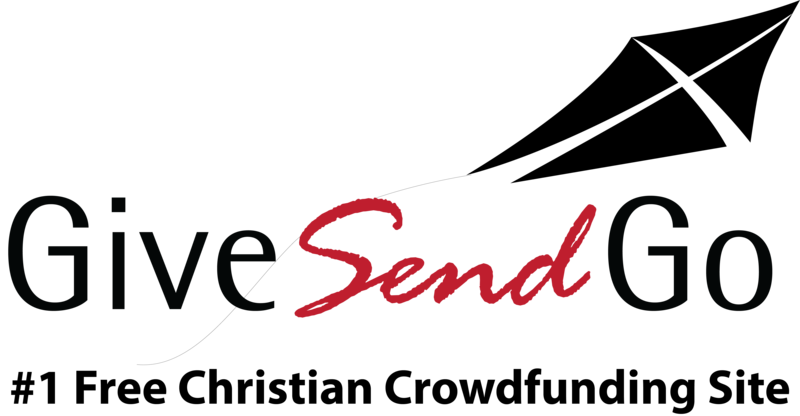 GiveSendGo is a FREE, secure, online giving platform. They *do not* take a percentage of your donation for their purposes; however, there may be a small fee associated for using a debit or credit card. This GiveSendGo account is the general donation site for the entire team of 7. If you would like to support a specific individual on the team, please designate this in the comment section of this site OR contact that person directly to arrange the donation. Be sure to join our Philippines 2019 Facebook group to keep up to speed with our other fundraising opportunities, prayer requests and updates! Thank you! Total added to balance church account as of 12/6/18.